An abandoned pregnant dog was found covered in so much of her own poo the RSPCA couldn’t tell what colour she was. 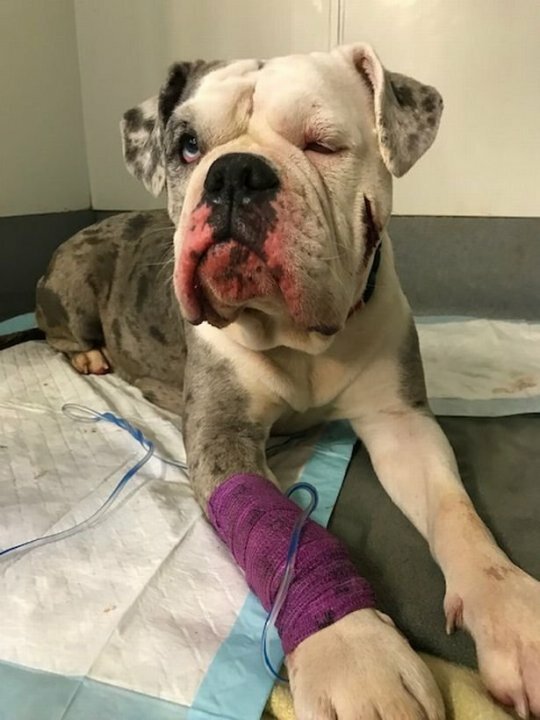 The dog, who has been named Florence, had a closed eye when she was discovered and a cut to her face. 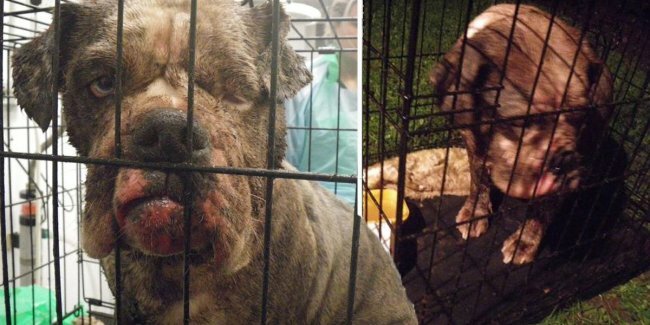 She was left in a filthy wet crate wrapped in plastic, which had no bedding and was filled with faeces. Her makeshift home was discovered on Sunday night in an alleyway near Florence Road, in Finsbury Park, north London. Vets at the RSPCA’s Harmsworth Memorial Animal Hospital found a dead puppy inside her ruptured uterus. Emergency surgery was needed to save Florence’s life. If Florence was left any longer she would soon have died a ‘horrible death’, the RSPCA said. ‘Poor Florence has been through a heartbreaking ordeal, but despite it all she has still been friendly, even though she is so poorly,’ a hospital spokesperson said. No words can say how anyone feels about this. I hope what goes around comes around.